"Women Lead the Way on Green Energy and Environment: Making their Impact on the Economy and Culture" is the theme of the 14th annual awards program to be held by the Euro-American Women's Council (EAWC) July 6- 14 in Greece. The Forum will be followed by the EAWC's "Goddess Artemis Award" Ceremony. Founded in 1996, the not-for-profit organization's Forum to take place in Athens and the outer islands is under the auspices of the Hellenic Republic's Ministry of Environment, Energy and Climate Change - and Ministry of Planning and Public Works. It is supported by the Greek National Tourism Organization and the Municipality of Athens. 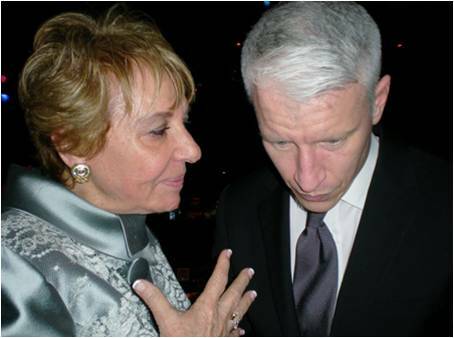 EAWC founder Loula Loi Alafoyiannis discusses her work with Anderson Cooper. EAWC's Forum is the recognition of the importance and dynamics of entrepreneurial values led by the distinguished participants. The organizations' founder Loula Loi Alafoyiannis told me, "Last year's attendees elevated the significance of the need for a deeper representational dialogue between men and women." "This year our distinguished Honorees will have the opportunity to have private meetings, tailored specifically to their individual needs with Greek Government Officials, CEO's of national and multinational companies and others high profile-organizations. The end goal of this unique experience is the development of solid alliances and new prospects will develop between the USA, Greece and greater Europe, as well as our partner nations Mexico and China," Loula explained. The Forum will kick-off with a press conference at the Foreign Press Association of Greece in that nation's capital, followed by a visit to the Acropolis and the new Acropolis Museum. The group has been invited to visit Greek Parliament and President of Democracy. The Mayor of Athens, Nikitas Kaklamanis, is also hosting a meeting with the group. Dionysia-Theodora Avgerinopoulou is a Member of the Hellenic Parliament. She is also on the Executive Global Board of the EAWC. Orphans Interntional Worldwide (OIWW) awarded her its Global Citizenship Award for Leadership in Helping Humanity in New York in February. The atrium at the Zappeion Megaron convention center. The EAWC's "Goddess Artemis Awards Ceremony" will follow before the group leaves Athens, at the majestic Zappeion Megaron pavilion. Concerts and performances will follow. 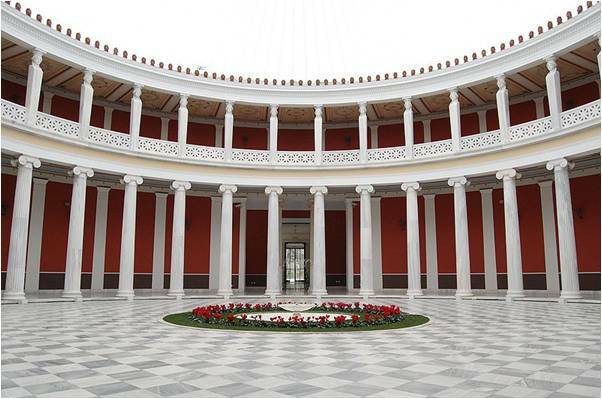 The Zappeion is a building in the National Gardens of Athens generally used for ceremonies. The Greek Parliament called for its construction in 1869 on land between the Palace Gardens and the ancient Temple of Olympian Zeus as the first building to be erected specifically for the revival of the Olympic Games in the modern world. The opening ceremony of the EAWC Forum will also occur in the Zappeion Megaron. After the closing ceremony of the Forum, there will be a cutting-edge fashion show for women living with breast cancer. The honorees will then tour Cape Sounion, the site of the Ancient Temple of Poseidon. The remains are surrounded on three sides by the Aegean Sea. The awardees will return to stay at the Athens Intercontinental Hotel (video). EAWC founder Loula Loi Alafoyiannis is the power behind the Goddess Artemis Awards. "We will welcome our honorees to be among the women of EAWC, who bridge nations and cultures, set economic trends, exercise influence, innovate change and make a difference in our world," Loula Loi Alafoyiannis told me. During the trip the guests will also visit the Achaia Clauss Winery in Patra, Ancient Olympia which the first Olympic flame born and then explore the Historic Museum of the Olympic Games in Ancient Olympia. The Achaia Clauss Winery was founded 150 years ago in Patra, Ancient Olympia. The Achaia Clauss Winery, interestingly, was begun in 1859 when a Bavarian purchased the land to build a summer residence and plant a few grape vines as a hobby. 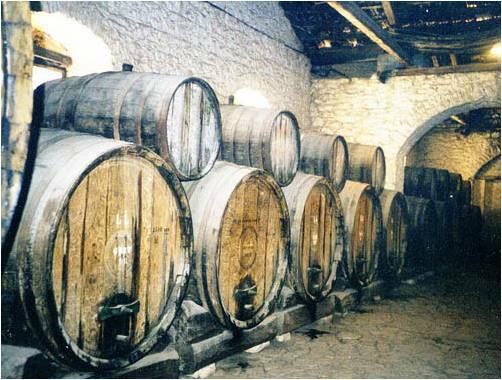 This became the winery which was fostered by its links with the central government of the Bavarian King Otto. The mayor of Ancient Olympia, George Aidonis, will host the group for a reception. Then the honorees are scheduled to visit the Ancient Olympia Archaeological Site and museum as well. The group then heads to the magnificent cosmopolitan island of Mykonos, an affluent island with yacht filled ports and a prestigious resort on a par with St. Bart's, Possitano, and St. Tropez. The group will pampered at the celebrity-filled Royal Myconian Thalasso Spa Resort. nightlife. 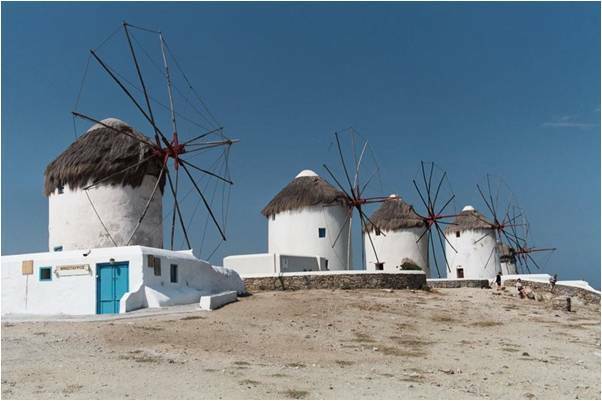 It is also home of Venetian canals and spectacular and historic windmills. The second island visit will be to the sacred island of Delos, birthplace of the mythical goddess Artemis. The Mayor of Mykonos, Athanasios Kousathanas, will be host a gala dinner for the group. 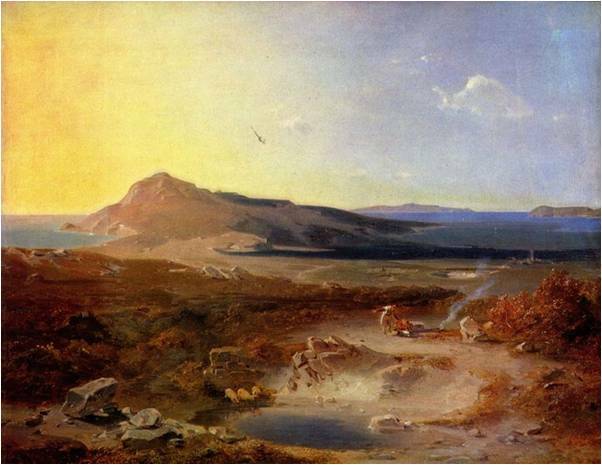 The romantic "Die Insel Delos" was painted by German Carl Anton Joseph Rottmann. Awardees of the EAWC's "Goddess Artemis Award" are Greek TV personality Viky Chatzivasileiou, Greek union leader Konstantina Kouneva, business woman Thanos Alafoyiannis, President of the Canadian Committee for United Nations Fund for Womens (UNIFEM) Almas Jiwani, internationally-recognized travel expert Stephanie Abrams, international speaker and executive Stephanie Dowkins, TV host Donna Drake, author-journalist Justine Frangoulis, C.E.O. of the American Institute of Architects Christine McEntee, Director of the Global Environmental Governance (GEG) Project at the Yale Center for Environmental Law and Policy Maria Ivanova, professional illusionist Grace Chang, Bertha Del Avellano De Cardenas, President of the executive committee of the Women Organization of Managers & Entrepreneurs Angelina Michaelidis, Executive Producer of Fashion Targets Breast Cancer Marilena Stratopoulou Hellas, C.E.O. of The Style Index Barbara Graffeo, as well as myself as founder of both Orphans International Worldwide (OIWW) and The Stewardship Report. 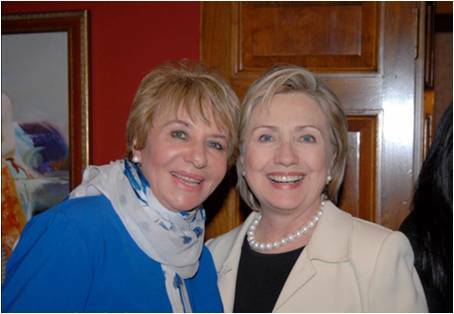 Euro-American Women's Council's founder, global president and C.E.O. with Barack Obama. I first met the Euro-American Women's Council's (EAWC) founder, global president and C.E.O. when, following the Tsunami, she presented the organization I founded, Orphans International Worldwide (OIWW) a check for $42,000 for the children in Sri Lanka. I was impressed by this strong woman, her inexhaustible energy, and her connectivity. She struck me as a thought leader and global citizen. Fostering bilateral cultural relations that lead to social and economic growth and development. Promoting environmental protection through enhanced technology. Celebrating women's diversity and accomplishments, and promoting equality in the business arena. Creating a platform of mutual respect, cooperation and shared goals between women of the United States and Europe. 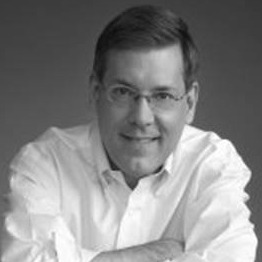 Mentoring and educating the youth to successfully lead in a rapidly changing, technology-driven global society with respect to the universal values. Founded in 1996, EAWC's mission is to strengthen the status of women in the global marketplace by building strategic alliances between women in business and prominent leaders across the United States and Europe. Through EAWC, women of diverse backgrounds and accomplishments work together to advance women's access to positions of leadership and to pave the way for the next generation of women business leaders. For her efforts as a Thought Leader and Global Citizen, Orphans Interntional Worldwide awarded Euro-American Women's Council's founder, global president and C.E.O. 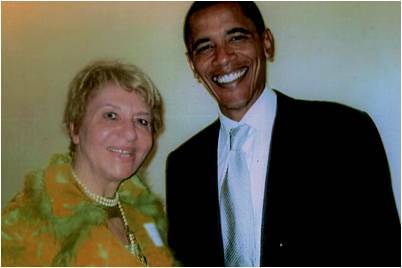 Loula Loi Alafoyiannis its Global Citizenship Award for Leadership in Helping Humanity in New York City, February 2010.